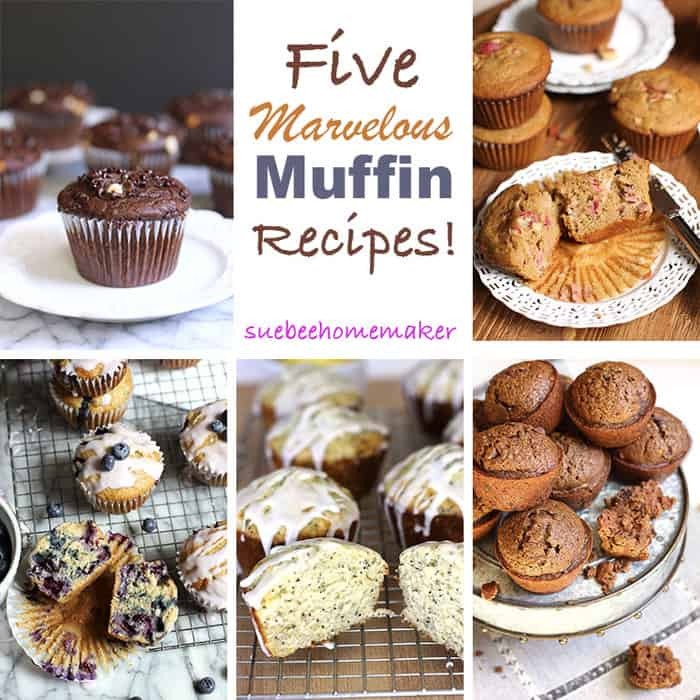 The following five muffin recipes give you plenty of MARVELOUS options to choose from. Make my Chocolate Zucchini or Chocolate Banana to get your chocolate fix, or go the fruit direction and try my Strawberry Rhubarb, Blueberry, or Lemon Poppyseed. All are equally delicious and freeze well for a rainy day! My newest creation that started as a mini muffin and ended in jumbo fashion. 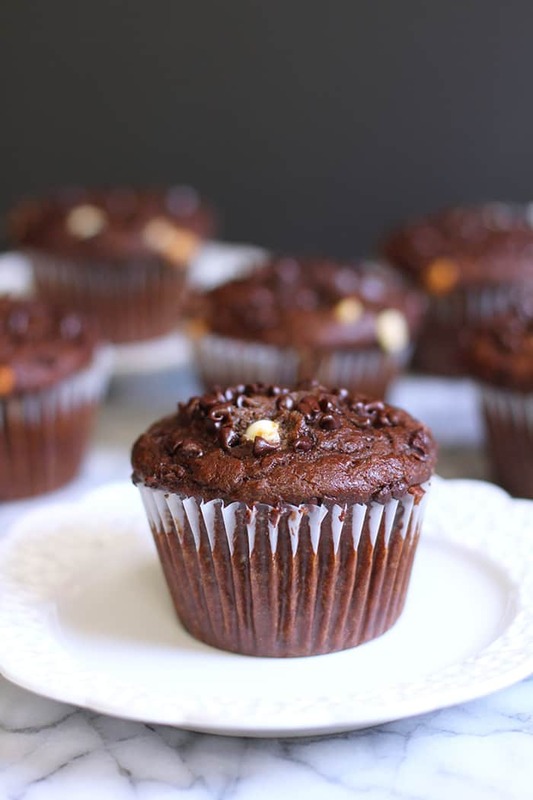 Made with tons of wholesome ingredients, this muffin is not as dangerous for your waist line, but still has a big chocolate fix! A recipe inspired by my momma, who loved to make rhubarb bread and pies, along with strawberry rhubarb jam. 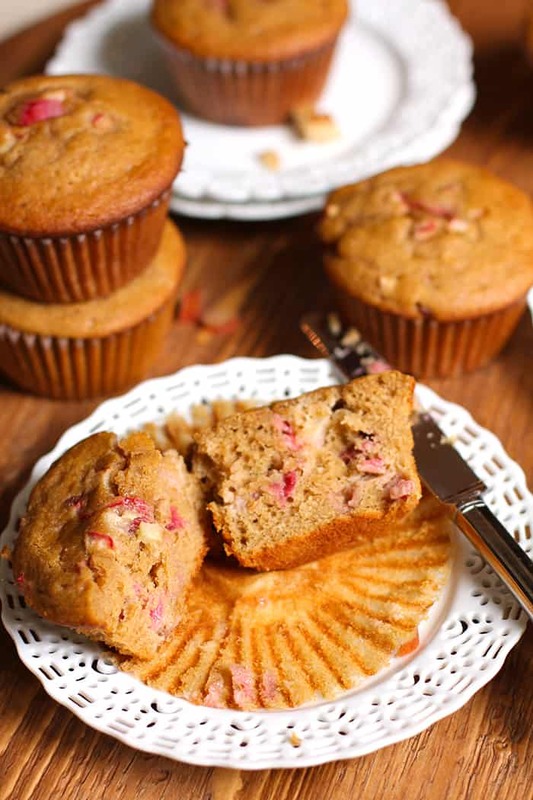 This muffin uses white whole wheat flour as you can see from that beautiful color! If you love tart but sweet, this one is for you! 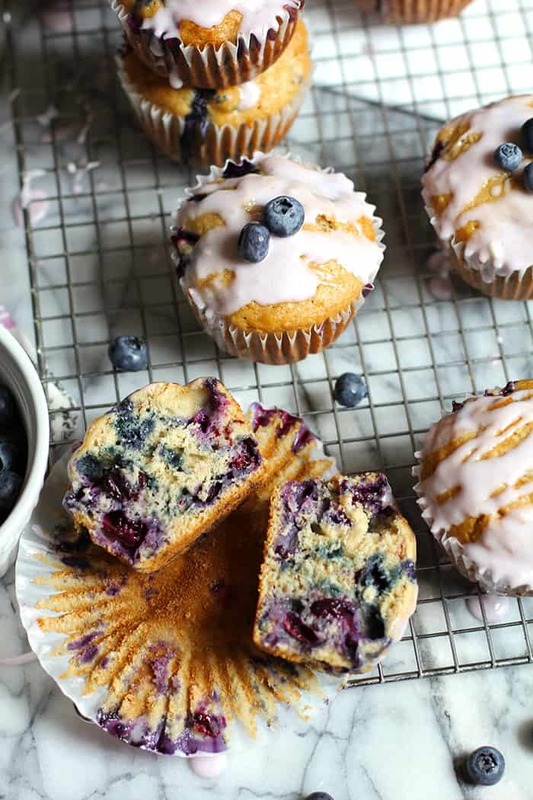 Made with a whopping two cups of fresh blueberries, these muffins scream fresh and light. Our family literally fights over fruit, so this one ranks pretty high in popularity here. The yogurt glaze is optional, because they are good without it, but it’s great for presentation! 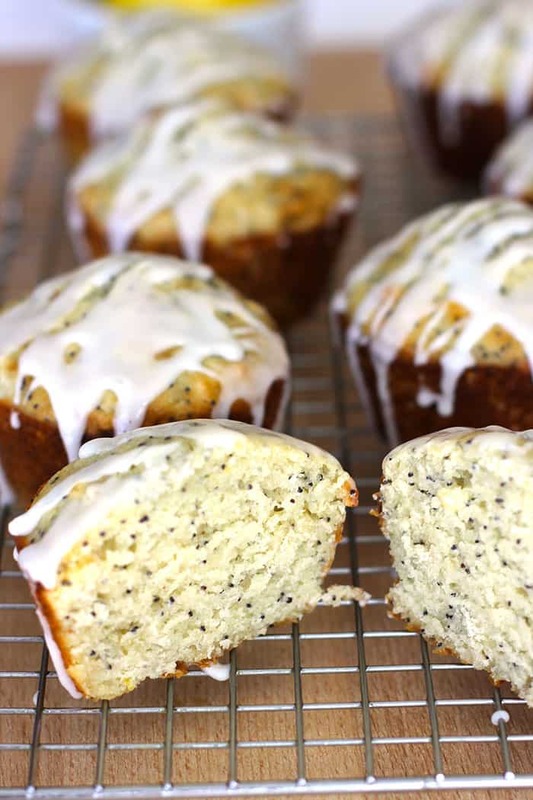 If you love fresh lemon flavor like I do, my Lemon Poppyseed Muffins might be your fav. You will need about two large lemons for this recipe, along with some lemon yogurt. Super duper lemon goodness! This is a Norma Jean recipe (my momma’s) and it’s loaded up with fresh zucchini and lots of chocolate. My mom was an awesome baker and she taught me almost everything I know! 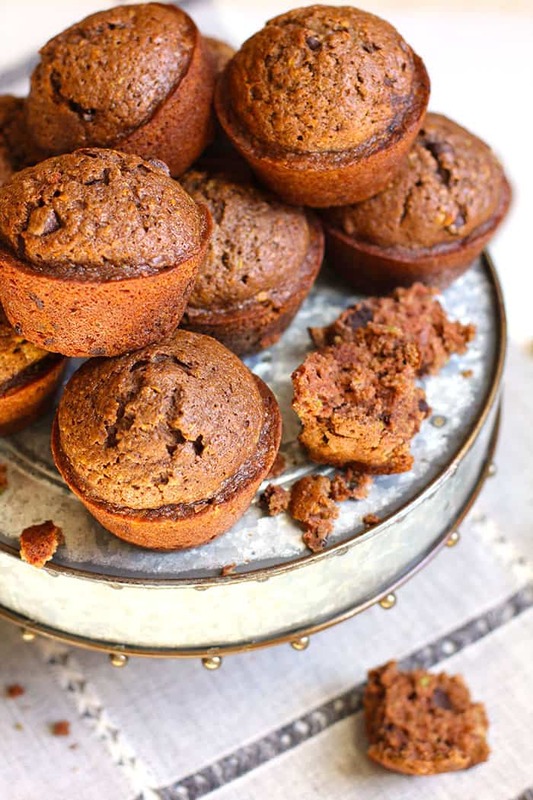 Her specialty was bread and rolls, but these muffins are a close second.